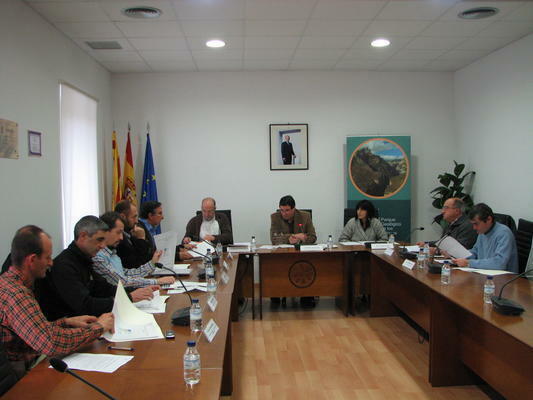 Sobrarbe-Pirineos Geopark Advisory Board Ordinary Meetings are held twice a year at the County Hall in Boltaña (Huesca). Among other strategies, in order to guarantee the sustainable development of the region, the Sobrarbe County Council has established the Geopark Advisory Board, an independent organism with legal powers. Its intent and purpose is the management of the Geopark. The President, being the Sobrarbe County President as well. The Geopark Manager, being the Sobrarbe County Manager as well. The Environmental Department Director of the Aragon Government. The Industry, Commerce and Tourism Department Director of the Aragon Government. The Education, Culture and Sport Department Director of the Aragon Government. Representatives from the Ordesa and Monte Perdido National Park, Sierra and Cañones de Guara Nature Reserve and Posets-Maladeta Natural Park. 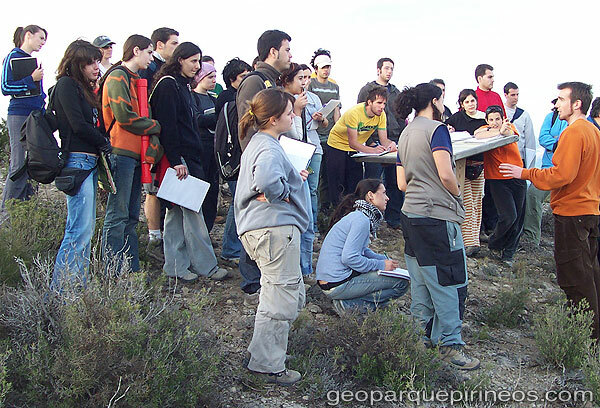 Experts in Geology from Saragossa University and Barcelona Autonomous University. A representative from the Sobrarbe Research Centre. A representative from the Foundation for the Bearded Vulture Preservation. A representative from the Sobrarbe Tourism Association. A representative from the Citizenship Forum "Forum 21" from Sobrarbe Agenda 21. There is a Scientific Advisory Committee composed of professionals from various scientific fields directly or indirectly related to geology, and linked to the Geopark of Sobrarbe-Pirineos. The Committee is coordinated by one of its members, who is also a member of the Board of Directors (see above), in order to serve as connection between both groups. This Commission is composed of about 20 persons representing different institutions such as the Geological Survey of Spain (IGME), the University of Zaragoza, the Autonomous University of Barcelona, the Aure-Sobrarbe Studies and Documentation Center, etc. Promoting geotourism in the Sobrarbe Geopark and improving the quality of tourism in relation to geological heritage. Promoting preservation, research and popularization of the geology in Sobrarbe County. Spreading knowledge about our environment in relation to the geological resources of the Geopark. Fieldwork training and promotion are essential in learning more about our geological environment.